Although I don't post about beauty or makeup very often on here, those are the blog I love to read. Seeing press samples of new releases and hearing people's honest opinions about products on blogs have totally changed the way brands market and I as a consumer shop. 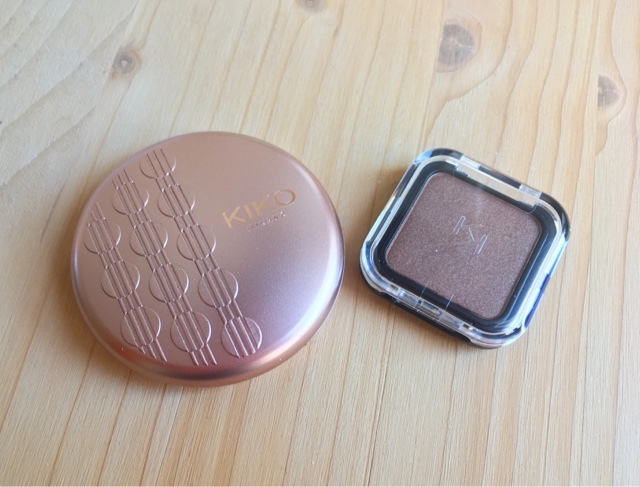 One such brand that I always here rave reviews of is KIKO MILANO, with their drugstore prices and apparent higher end quality. I had always wanted to try them and their stores look so alluring with their spacious displays and they always seemed so bright and inviting. I had however resisted, I definitely didn't need to be falling in love with any new makeup brands. Especially not ones that were on a drugstore price range as I always find that is the most dangerous for my bank account. With a more expensive product I think about it for a while and only truly invest in something that I know will work or am certain I need. When everything is under ten pounds however I almost don't think twice about popping something in my basket to ty it out because I fancy having something in that specific shade of pink when I know I have something similar at home. On Valentine's Day however, as is my tradition to buy myself a little present, I popped into their store in Nuremberg for my first KIKO shopping experience, spoil those you love and I love myself so why not? I love that the brand has it's own individual stores and isn't just available on drugstore counters or online. Imagine if Rimmel and Maybelline had their own shops gawd it would be dangerous for my bank. I only picked up two items but have fallen in love with both. 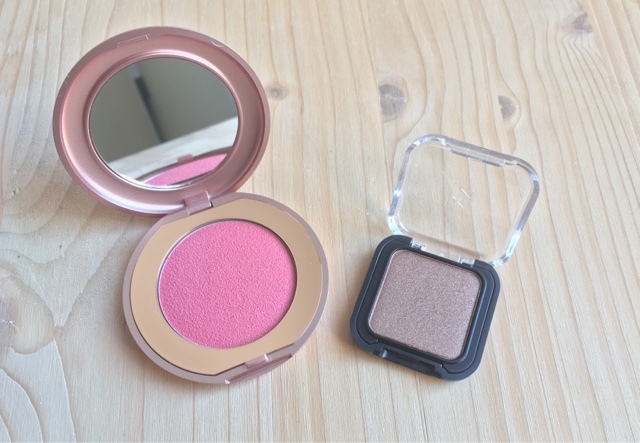 The first item I picked up was the Rebel Bouncy Blush in the colour 02 Adorable Pink which was actually in the sale! 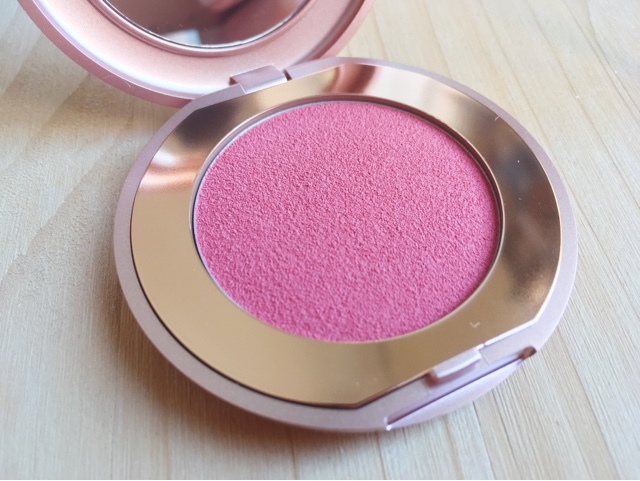 It says that the blush has a satin finish which I really like and the colour is just perfect for Spring. I think it wears well throughout the day and I don't feel like it's too pigmented when I apply it with my Real Techniques blush brush, so I don't need to worry as much. I was also very strict with myself and only let myself pick up one eye shadow although I definitely could have bought half the shop. The wet or dry eyeshadows looked incredible as did some of the newer Spring products. I ended up choosing this simple Colour Eyeshadow in the shade 03 which is a beautiful warm bronze. It is so easy to apply and is really pigmented although very easy to blend. I would say it is one of the easiest eyeshadows to blend I have ever tried. Without a specific eyeshadow primer, colours don't normally stay on my eyelids very long so I normally wear Mac's Painterly paint pot, an absolute cult product, underneath. However today I wore this shadow on it's own without a primer and it lasted about 7 hours (including me falling asleep) before it started to fade slightly which is pretty good. I think it looks beautiful on the bottom lash line as well for a more smoky look. At only 2,95 euros it was an absolute steal! 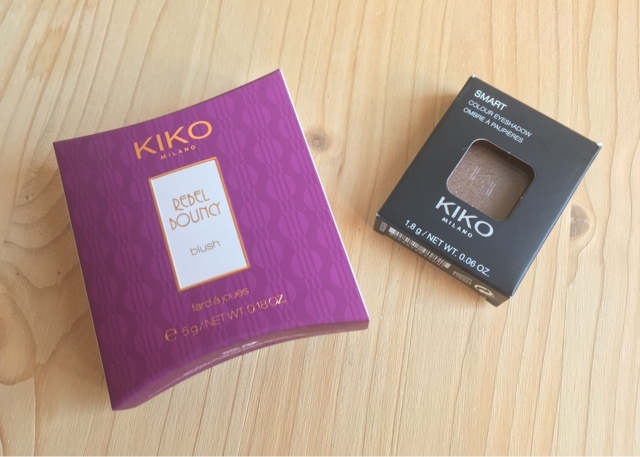 I definitely will be shopping in KIKO MILANO again and I am really impressed with the quality of the products compared with the price. I'm not sure if there is much of a price difference between the price in euros and pounds so I will need to wait till I am back in the UK to see although I can't imagine it will be too much. Have you tried any KIKO products? Is there anything you would specifically recommend? Please let me know in the comments, I absolutely love reading them!